The top seed and the leader of the World Junior Chess Championship in Athens, Ding Liren and Alexander Ipatov, split the point on the top board in round 8 following the rest day on Thursday. Ipatov remained on the top of the crosstable but is now joined by another Chinese representative Yu Yangyi and Richard Rapport from Hungary, who quickly recovered from the upset in round two and lined a score of victories. Among the other players with 5,5 points, IM Debashis Das (India) and FM Peter Schreiner (Austria) held the higher rated players GM Aleksandr Shimanov (Russia) and GM Samvel Ter-Sahakyan (Armenia), respectively. 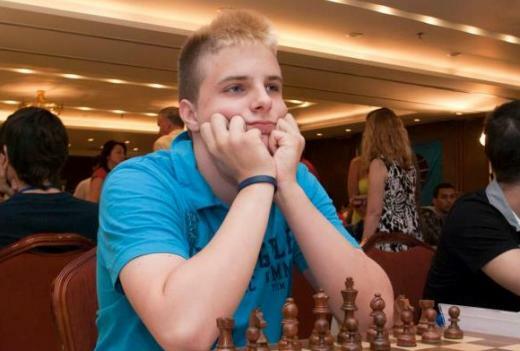 IM Conrad Holt defeated the 3rd seed GM Yaroslav Zherebukh, while the modestly rated Mark Lapidus (2129) from Estonia beat the tough GM Salem A R Saleh from UAE. Lapidus started the tournament with two losses but then turned the trend and signed six consecutive wins. 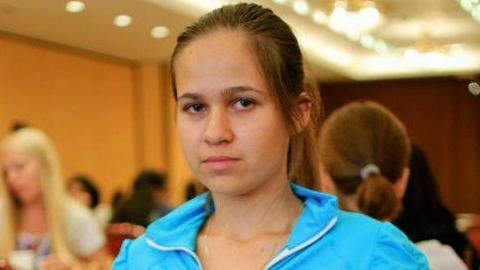 Reigning Belarus champion WGM Nastassia Ziaziulkina singled out on the top of of the standings in the girls section of the World Junior Chess Championship. In round 8 Ziaziulkina defeated the top-seeded IM Anastasia Bodnaruk (Russia) to lift the count to 6.5 points. WIM Irina Bulmaga and the defending champion WGM Deysi Cori, also entering the day as joint leaders, drew their game and remained on the shared 2nd place. In a mixed day for the Russian representatives, 3rd seed WGM Alina Kashlinskaya lost against WGM Guo Qi of China, but WGM Aleksandra Goryachkina scored against WIM Klara Varga from Hungary. Bulmaga, Cori, Qi, Goryachkina and WIM Meri Arabidze from Georgia share the second place with 6 points each.